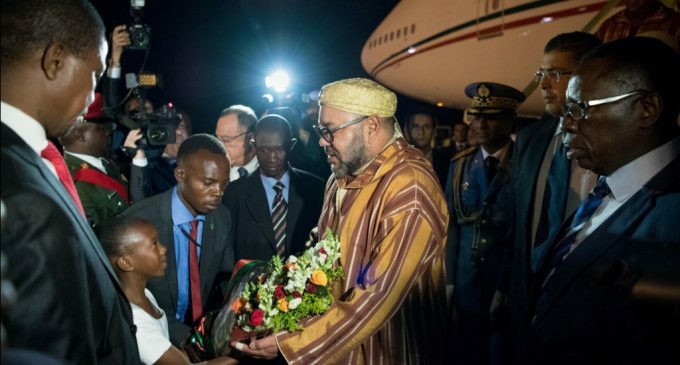 King Mohammed VI of Morocco started Sunday a historic visit to Zambia, 3rd leg of a new African tour that led the Sovereign to Ghana and South Sudan. On Monday, King Mohammed VI and the Zambian President Edgar Chagwa Lungu held tête-à-tête talks, before the two leaders co-chaired the signing ceremony of 19 governmental and economic partnership agreements. This visit, first of its kind by the Moroccan monarch in this English speaking African country, will open up a new era in relations between the two countries, which are both looking forward to lifting up their political, commercial and economic cooperation to higher levels. As put by the Zambian Foreign Minister Harry Kalaba, besides strengthening bilateral relations, the visit will foster dialogue between Rabat and Lusaka on issues of common interest. Zambia, unlike most of its neighbors, has managed to avoid the war and upheaval that has marked much of Africa’s post-colonial history, earning itself a reputation for political stability. The landlocked country has experienced rapid economic growth over the last decade as Africa’s second largest copper producer after the DR Congo. Its overreliance on copper has however made it vulnerable to falling commodity prices. Zambia also has one of the world’s fastest growing populations with the UN projecting that its population of 13 million will triple by 2050. Before Zambia, King Mohammed VI visited Ghana where he conferred with President Nana Addo Dankwa Akufo-Addo on cooperation prospects as well as on regional and international issues of common interest. The visit was crowned by the signing of 25 cooperation agreements. Immediately after addressing the African Union summit convened in Addis Ababa (January 30-31) and during which Morocco’s bid to rejoin the AU was largely approved, the Moroccan Sovereign paid his first visit to South Sudan and met with president Salva Kiir Mayardit. The two countries signed during the visit, nine cooperation agreements covering housing, urbanism, foreign Affairs, investment, taxation, agriculture, fisheries, food security, industry, mining and business. During this visit, the North African Kingdom expressed readiness and commitment to help South Sudan build a new capital city to cost nearly $10 billion. Morocco is currently the second major investor in Africa and Moroccan private companies are present in several African countries. Written by: Peter Mulvany on February 20, 2017. Posted by Peter Mulvany on Feb 20 2017. Filed under Headlines, World News. You can follow any responses to this entry through the RSS 2.0. Both comments and pings are currently closed.